Now that we have settled nicely in the new year, we thought we might quickly go over the past year and see what we achieved during 2012. This is an acknowledgement to the collective effort done by all the management and members of the Emergency Fire and Rescue Unit (E.F.R.U. ), but it is also a yard stick with which we may judge our progress in 2013, with the aim of doing even better than before! E.F.R.U. works in a fairly specialised area that is concerned with several rescue disciplines. Above all, E.F.R.U. 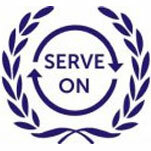 needs to conduct all its activities in a safe manner, most of the time while operating in dangerous environments. To achieve this, the organisation sets out and follows a comprehensive training plan throughout the year in order to build the competence of its members, to keep them up to date and to promote teamwork. 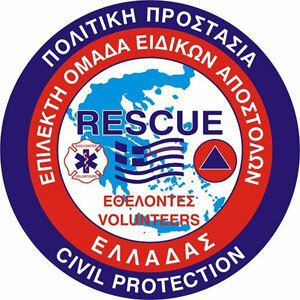 During 2012, training activities covered the areas in which E.F.R.U. assists the Civil Protection Department (CPD), such as basic rescue (including first aid, casualty and stretcher handling), rope rescue, basic fire fighting and urban search and rescue. The use of the Automatic External Defibrillator (AED) was also included. Members of the organisation also attended information seminars organised by the Mater Dei Emergency Department, such as ‘Critical Incident Response’. Members of the search and rescue canine team attended regular training sessions throughout the year in addition to training in the rescue disciplines described before. Furthermore, 2012 saw the introduction of physical endurance training, for interested members, in order to keep fit for the various physically demanding activities carried out by E.F.R.U. Following a successful recruitment campaign in 2011, E.F.R.U. qualified a substantial number of volunteers after successfully passing a basic rescue certification program organised by E.F.R.U. in-house instructors. A number of volunteers also completed a course in advanced fire fighting organised by the CPD and now form part of the main E.F.R.U. fire team. This course also included training in Road Traffic Accident (RTA) rescue. Whenever a large scale emergency occurs, the CPD resources may become overwhelmed to the point that the CPD Director may decide to call on volunteers to assist. But having the extra resources is not enough – they need to be properly coordinated and people need to work together effectively. For this reason, a number of simulations are regularly organised to provide an opportunity to test out emergency plans and eventually improve on them. 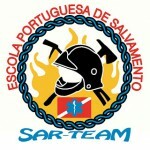 In 2012, E.F.R.U. participated in industrial fire simulations at the Delimara Power Station, San Lucjan, as well as a simulation of an aircraft accident at the Malta International Airport. Furthermore, E.F.R.U. played an active part in two urban search and rescue scenarios – one was held in the derelict Hal Ferħ holiday complex, while the other, NOVEX 2012, was held in various sites around Malta. The latter was in fact a major national emergency simulation which saw many government entities as well as volunteer organisations working together. During public events where a significant number of people are expected to attend, it is very important to consider the safety aspects. E.F.R.U. is able to provide first aid as well as fire safety backup during such events, and has an ambulance (privately owned by a member of the organisation) as well as two fire engines available. During 2012, the most notable events where E.F.R.U. contributed were the annual Puttinu 3-day Football Marathon in May, the Isle of MTV Concert in June, Notte Bianca in September, the 5+5 Summit in October and the Ta’ Qali Petting Farm Christmas Village in December. Other events that included first aid cover were the clean up of the Majjistral Nature and History Park, a fun run from San Anton Gardens to Ta’ Qali National Park, the Summer Fest in Paceville, and the inauguration of the Bugibba Aquapark. Additionally, E.F.R.U. provided equipment and assisted during an abseiling event at the Embassy shopping complex for a TV Programme, and ensured all activities were carried out safely. E.F.R.U firmly believes in the prevention of accidents – for this reason, a Community Assistance Program has been set up. Through this program, E.F.R.U. aims to educate the general public on aspects of fire prevention, basic fire fighting, basic first aid and giving due regard to safety in whatever we do. A number of schools were visited during 2012, such as the Gzira Primary School, St. Theresa’s College in Birkirkara, and St. Francis’ schools in Msida and St. Paul’s Bay, as well as a group of scouts during their annual camp. Apart from promoting safety and the correct use of the emergency number 112 during these events, E.F.R.U. also raised awareness about the role of Civil Protection and volunteers working in this area, covering topics such as fire fighting and search and rescue, including search dogs. Thanks to a lot of work and effort done in previous years by the E.F.R.U. management, the organisation has reached a twinning agreement with a similar organisation (Edelweiss) based in the region of Calabria, Italy. Through this agreement, E.F.R.U. members traveled twice to Italy in 2012 to participate in training with Edelweiss members: one group in April and another in September. 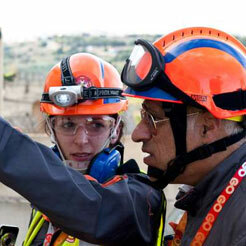 During one of the visits, the training was carried out with the participation of other Italian organisations, thus increasing the opportunity to learn from the different ideas and techniques used. Meanwhile, a group of Edelweiss members were hosted by E.F.R.U. and participated together as one team in the NOVEX 2012 national emergency simulation held in November. The collaboration with Edelweiss is excellent and the E.F.R.U. leaders, together with their Edelweiss counterparts, worked on a plan for future activities. Other international activities for E.F.R.U. included the active participation of Director Ivan Barbara in an international rescue competition called Grimp day that was held in Namur, Belgium. A number of E.F.R.U. 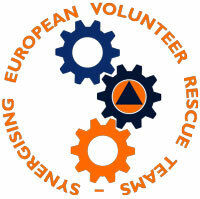 members participated in the Module Basic Course organised under the Civil Protection Mechanism of the European Union. This training prepares potential members of Civil Protection Module for international deployment in case of need. Unfortunately, 2012 had its fair share of unfortunate incidents that required intervention by the CPD, with the assistance of volunteers. In March, the roof of a structure still under construction collapsed at the Seabank Hotel, Mellieha, trapping a worker underneath. Along with other volunteers and CPD staff, E.F.R.U. members worked tirelessly throughout the night to extricate the victim, who unfortunately had already died from the injuries sustained. Also in March, strong winds caused widespread damage across the Maltese Islands. A large cross on St. Helen’s Church in Birkirkara was damaged and was creating a danger for anyone walking underneath. E.F.R.U. volunteers assisted to remove this danger. E.F.R.U. was also called to assist in the search of missing persons – one search was conducted in the vicinity of Buskett, and E.F.R.U. search dogs were deployed; while the other search was conducted in fields in the vicinity of Siggiewi. Unfortunately in the latter search, the body of the missing person was found in a water reservoir. An E.F.R.U. member helped to get the body out of the water. June and August saw the E.F.R.U. fire team being deployed on two fires. In June, a fire broke out in a yard at the Foster Clark’s factory. A significant amount of wooden pellets, as well as a number of acetylene tanks, meant that the fire took quite a while to extinguish completely. In August, on the way back from a fire and safety awareness session at a scout camp, members of the E.F.R.U. fire team came across a rubbish dump fire in Kalkara. The CPD officers already on site requested E.F.R.U.’s assistance to put out the fire. In September, E.F.R.U. volunteers were called out to assist when severe flooding affected several parts of the Maltese Islands. Volunteers were deployed with fire trucks and rescue vehicles to flood-prone areas to help drivers whose cars stalled due to the water and also to pump out water from flooded basements. E.F.R.U. also played a major role in gathering donations of clothes, food and water for the stocking up of the humanitarian aid warehouse. A collection of such items was also done for the Syrian people who were fleeing their country and staying in makeshift camp sites due to the outbreak of civil war in their home country. E.F.R.U. 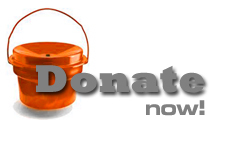 is a non-profit organisation and is not funded by any entity. Therefore, volunteers had to work hard to promote the organisation and its work in order to attract sponsors. As part of the promotional campaign, E.F.R.U. took part in a significant number of radio and TV programs. The main aim of participation in these programs however, is to educate and raise awareness of safety concepts. The organisation’s website was also completely revamped and a quarterly newsletter launched, with the first issue dating September 2012. Looking back, 2012 has surely been a busy year, but also a very interesting and satisfactory one. Now it is time to look forward to make 2013 even better – and all this can only be achieved thanks to the collective effort and dedication of all E.F.R.U. members.